Where are the ghosts IB is seeing at KU? With surveillance and micro-profiling of Kashmiris reaching new levels, India’s top spy agency Intelligence Bureau (IB) seems to be mounting pressure on Kashmir University (KU) to crack down on its faculty which the agency accuses of pushing students towards militancy. A recent report by the IB accused KU faculty of being behind rising cases of students joining militancy. The report has been dismissed by KU as ‘bogus’. The report “Radicalization in Kashmir University” first appeared in Delhi-based business daily Economic Times went unnoticed here. But when a local daily picked up the story, it created a flutter at KU. The IB report has gone as far asking the state government of identifying the ‘masterminds’ among KU faculty who the report blames of ‘radicalising’ the students. The KU campus is a tightly policed and monitored site. Besides dozens of uniformed police guards, the campus permanently remains under the eye of plain clothes sleuths from several local intelligence agencies. The proctor’s office and the watch and ward staff have been specially tasked to report and check on a round the clock basis any ‘unfavourable’ activity. The watch and ward office alone maintains a staff comprising scores of men for this purpose. Sources at the University said that even some staffers act as ‘eyes and ears’ for the proctor’s office and KU higher ups snooping on colleagues and students. Some months ago when protests broke out at KU after the arrest of a student, a lady staffer known for her links with state agencies was caught by the protesting students filming them. The students later forced the lady to delete the footage. Plain clothes sleuths of IB are common sight at the KU campus whenever there is any minor or major of function at the University. These men keep a hawk’s eye vigil on the activities and speeches that are made, reporting them back to their bosses. In this backdrop, KU faculty members, scholars and students say it is impossible for any faculty member to indoctrinate students in militancy as the IB report suggests. KU Vice Chancellor, Prof Khurhid Andrabi rubbishes the IB report saying Kashmir University is a “soft target.” “To say the faculty is instigating or indoctrinating students is absolutely absurd. There’s no truth in the IB report,” says Andrabi. Over the decades authorities have systematically clamped strong controls at KU on all public spaces for debate and discussion. Any kind of student activism or solidarity among students often invites strong arm methods. Some months ago when students had been protesting the arrest of a fellow student, KU dispatched letters to the protesting students’ parents asking them to control the activities of their children. Prof Andrabi is now riding around in a Fortuner the basic model of which costs over Rs 25 lacs. Proposal of purchasing this high-end luxury vehicle had been pushed through the University’s Academic Council. KU often shoots down suggestions and proposals of improving student facilities and infrastructure with excuses of ‘lack of funds’. The VC had just several months ago ‘appealed’ Army authorities for financial assistance to help the ‘cash-strapped’ institution. That ‘begging bowl’ move by the VC drew strong flak from KU faculty and students. That, Rs 25 lacs could provide some decent morning bus service for these poor souls is not a suggestion we are making. Aala Fazili, a researcher at the pharmaceutical science department, wonders how any indoctrination can take place in such an atmosphere. “When the University doesn’t allow any kind of student activism, how can it tolerate indoctrination of militancy?” asks Aala. The students’ union which is usually seen as a vibrant feature of campus life to ventilate student issues isn’t allowed to operate at KU. The union was banned two decades ago. The University has completely shut down any discussions, debates, lectures and conferences on issues of critical political importance to the region. Free discussions on the State and State policies are usually a hallmark of a lively university academic-intellectual culture, but KU has entirely insulated itself from these critical areas. The KU has not produced any significant research work on any dimension of the Kashmir dispute over the past several decades. Researchers at KU say they are actively dissuaded from pursuing any research topic that may be even slightly critical of State policies. Researchers say they are forced to redact even neutral terms like ‘Kashmir conflict’ from their research papers. A researcher at the Political Science department was asked to change his thesis twice, which cost him one-extra year. 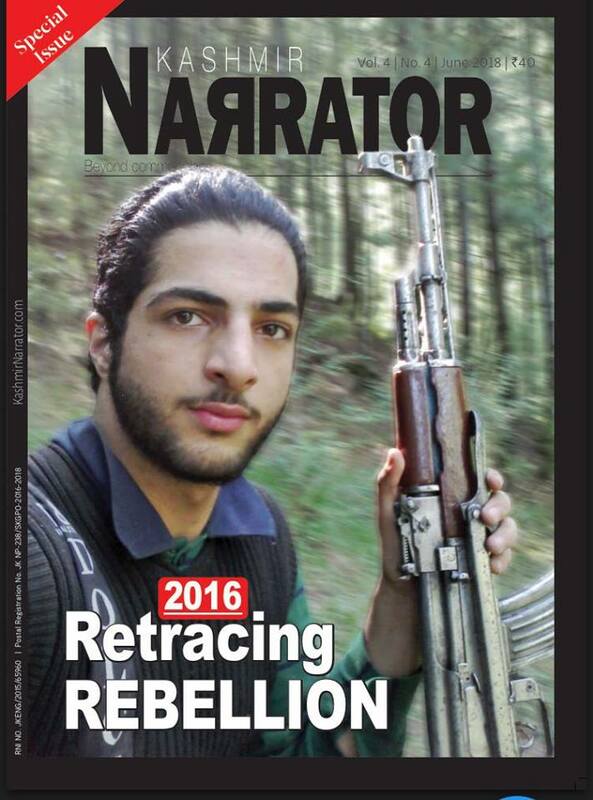 The subject of the researcher was on the division of a Kashmir-based political party. He says he had to omit many factual things deemed “controversial” by the university authorities. Over a decade and a half ago, the University launched a one year diploma course in Human Rights. But it was soon scrapped because authorities thought it was risky to expose students to some academic understanding of human rights and related law in a place like Kashmir.